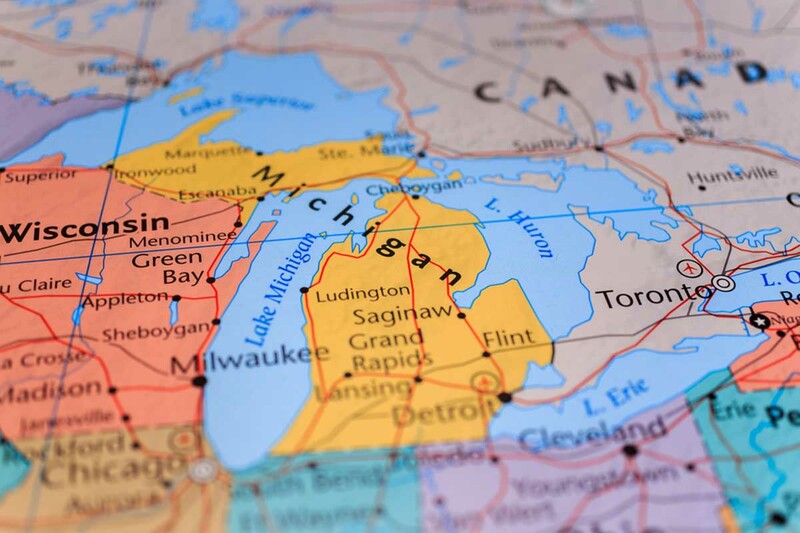 Republican attorneys and consultants did much of the heavy lifting in 2011 to redraw Michigan legislative lines to benefit state and federal party candidates. It’s unclear who supplied the money for their efforts. Led by Michigan Chamber of Commerce executives, the nonprofit Michigan Redistricting Resource Institute paid out roughly $1 million for more than 2,500 hours of legal, mapmaking and other consulting work for Michigan’s “House and Senate Republican caucuses” in the 2011 redistricting process. That’s according to the Institute’s own statements and invoices filed in an ongoing federal lawsuit challenging the 2011 maps. The group’s incorporation papers list it as a 501(c4) nonprofit that is not required to list its donors. $734,000 to the Dickinson Wright law firm. Attorneys on the project included Peter Ellsworth and Jeffrey Stuckey. Both have counseled the Michigan Republican Party on redistricting issues for decades and served as legal counsel for Republican gubernatorial campaigns. Before the Michigan House and Senate caucuses pushed through the new redistricting maps in 2011, Dickinson Wright held a series of meetings each with between 15-20 people, according to the firm’s invoices to the Institute, for 2011 redistricting. A bid proposal from Sterling to the MRRI uncovered in an ongoing federal lawsuit over the 2011 redistricting indicates some of the money to the firm went for fundraising for the process. "The MRRI fundraising was hindered by legislative term limits and the fact that until now there has not been leadership in either the House or Senate which would be impacted by or play a role in redistricting," Timmer wrote on Feb. 9, 2010, to then MRRI executive Robert LaBrant. "We have now engaged the principal players and will be moving forward with the chief legislative players to fulfill a goal for each caucus of $700,000." $61,000 to the Foster Swift law firm. The billing attorney was Eric Doster, whose bio states we was “the longest serving general counsel in the history of the Michigan Republican Party” from 1992-2017. Doster also was on the legal team opposing the Voters Not Politicians redistricting reform ballot proposal before the Michigan Supreme Court in July. $38,000 to the Washington, D.C. firm Jones Day, mostly for the work of conservative attorney Michael Carvin, who’s now defending Michigan Secretary of State Ruth Johnson in a federal gerrymandering suit. $9,700 to the Dykema law firm for preparation of state legislative testimony and other work by attorney Gary Gordon, a former Michigan chief deputy attorney general. Gordon represented the Donald Trump campaign in Michigan’s 2016 presidential vote recount. The Michigan House and Senate redistricting committees called on Gordon in 2011 to testify and outline the complex legal requirements and court precedents impacting the Michigan redistricting process. The following people have affected negatively their neighbors, fellow church members and all citizens who thought that their vote counted. The dollar amounts shown are what they were payed to created this severe injustice. This again demonstrates the only people benefiting from the "politics" of Michigan are expensive attorneys and consultants. Exactly what is happening at the national level as well. When you distract everyone from the real issues that Michigan faces, no one is paying attention to the root causes of problems we face. Gerrymandered districts were done in an intentional and deceitful way. The Michigan Chamber of Commerce is sitting back and laughing at what they got away with. The issue of transparency in state government is outrageous. This has all been done under Republican leadership whether you like it or not. This corruption has led to a state in crisis. People just need to pay attention. When one party has gerrymandered their way into the majority position for so long, no one is truly being represented. This is the problem. The only way the majority can fight back is by the work VNP is doing with Proposal 2. You can see by the number of ballot proposals the legislature is not doing their jobs, and it is very sad. This is not democracy. Democrats have a habit of cramming themselves in cities and win those districts by 7 to 1 margins, controlling city governments completely. Democrats lose rural districts by 4 to 6 margins and there are many more rural districts. This gerrymandering issue is a non issue. It's just Democrats being angry that their actions (living in and politically controlling cities) have consequences at the federal level. Promoting your own YouTube video as evidence of a cogent argument does not make your position valid. Aren't you the same guy who said the responsibility of caring for the elderly should rest with families, churches and charitable organizations and not the government and then had cheek to call yourself a classic liberal?